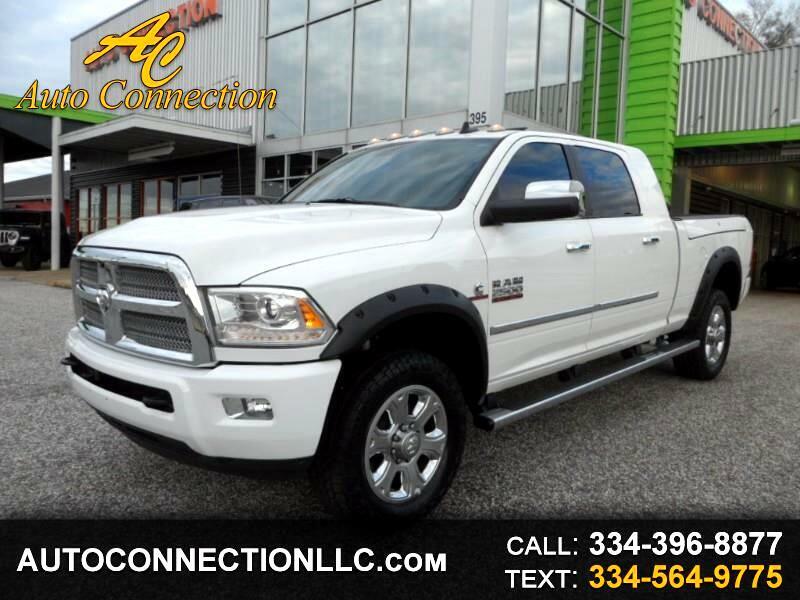 2015 RAM 2500 LARAMIE LONGHORN MEGA CAB 4X4! 6.7 Liter Cummins Turbo Diesel! Bright White over Black Premium leather with Matte Wood trim, Navigation with voice command, Rear view camera, Heated and Cooled seats, Heated steering wheel, 560-Watt ALPINE Premium Surround Sound system, Satellite radio, Bluetooth with streaming audio, USB, UUX, Power sunroof, Power sliding rear window, Convenience Group package, 6-Speed Automatic transmission with 3.42 rear axle, Keyless entry, Pushbutton start, Keyless remote start, Ram Box storage, Spray in bedliner, Bed divider and more! Non smokers truck! ONE Owner! Carfax Certified! Factory warranty remaining! Excellent Condition!